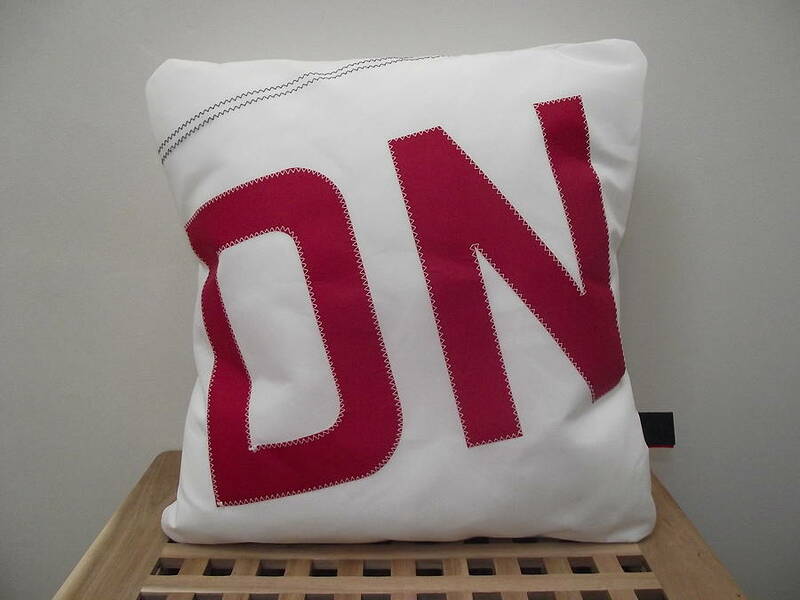 Our gorgeous white sailcloth cushion with personalised initials and/or numbers sewn on with traditional zig zag stitch is stylish, simple and bold. 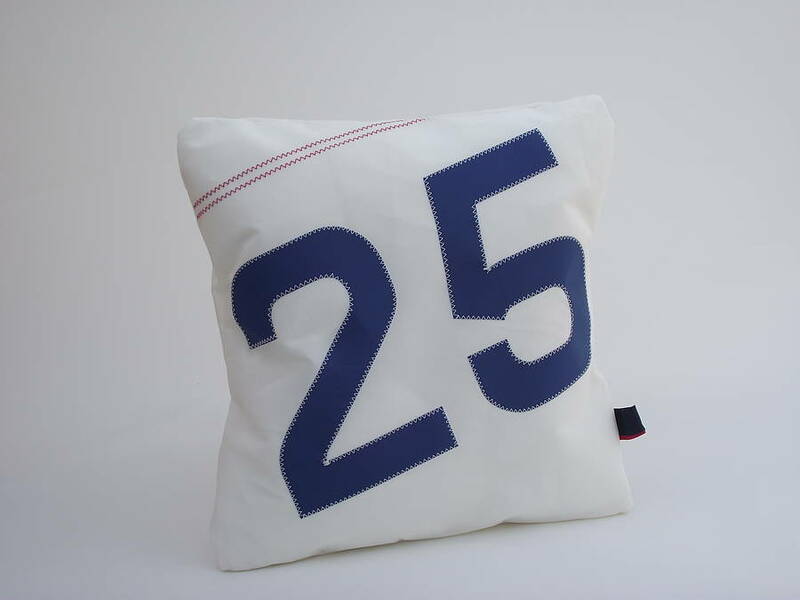 We can personalise your sailcloth cushion for you with two characters which can either be letters or numbers, or a combination of one letter and one number. The 9" (23cm) letters and numbers are cut out by hand, in a choice of colours - navy blue, mid blue, red, grey, black, green, fluorescent pink and fluorescent orange. 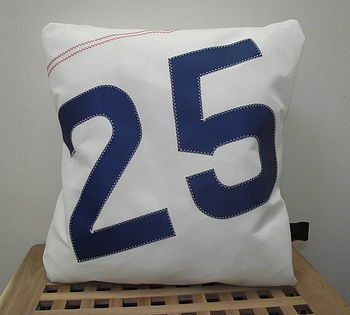 They are stitched onto new white sailcloth in traditional sailmakers zig zag stitch using U.V. resistant thread. 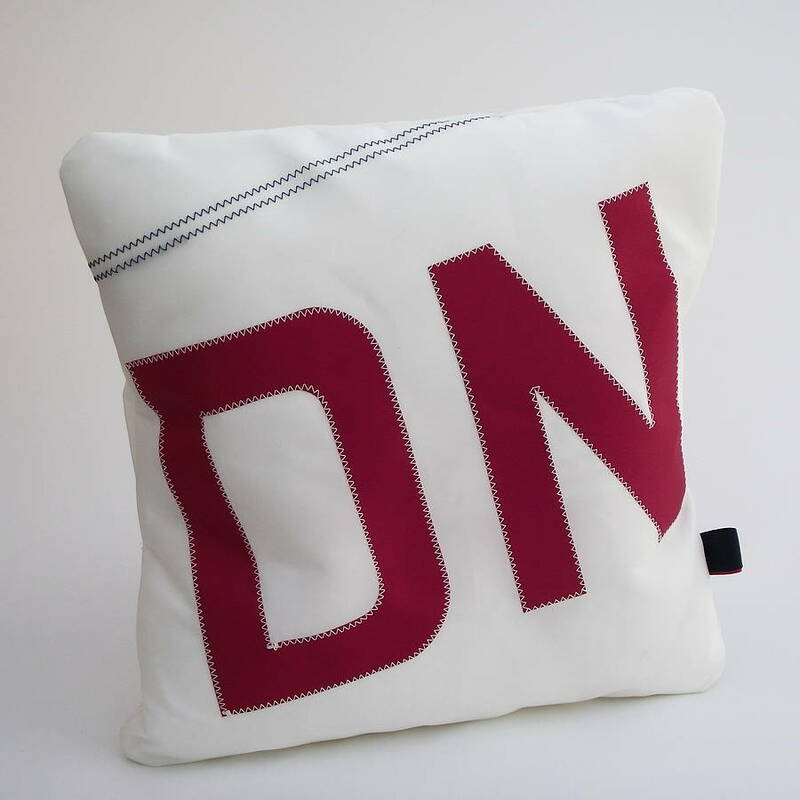 An original useful and stylish gift to send to that special person - decorated with their initials or perhaps numbers with a special association. Great to commemorate birthdays and important events. 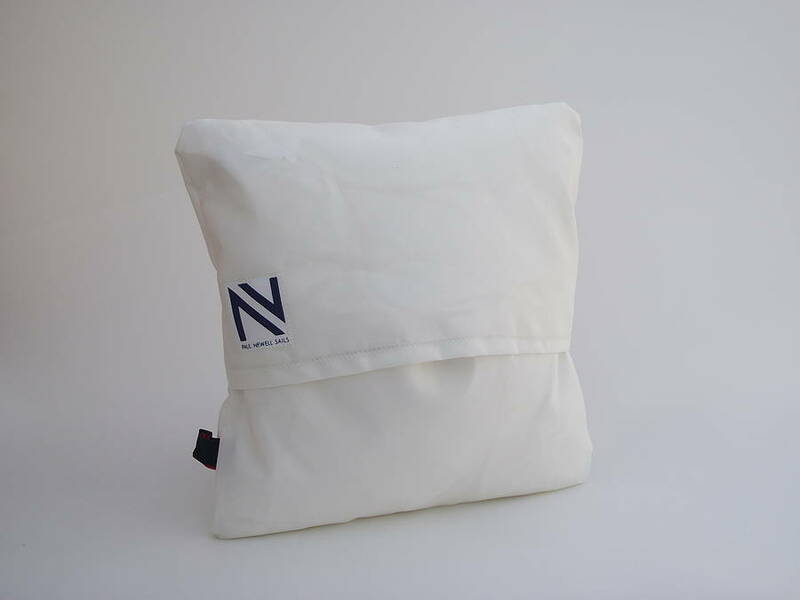 Care instructions: The sailcloth cover is washable at 30 degrees centigrade on a synthetics cycle using eco-friendly washing powder. Shape and hang to dry naturally away from direct sunlight. Please do not add bleach and do not tumble dry. Please do not dry clean. The inner cushion pad is made from polyester, please follow the washing instructions on the label.